When I discovered a performance problem with the Brita® Advanced Filters I documented my experience and contacted Brita Pitcher customer support (here). I gave my observations and pointed out that I was filtering distilled water, not tap water. After fully explaining the problem I asked what they planned to do about it. I have been using my first box of the Advanced Filters in my pitcher and they seem to have worse performance than the original style of filter. A new advanced filter works great, filtering one quart of water in about 2 minutes. 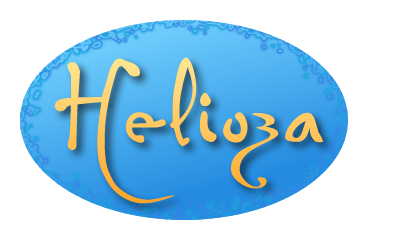 Over a period of about 3 weeks that filtering time rises to about 20 minutes per quart. By the end of 4 weeks the filtering time is over an hour. I have not been measuring the quantity exactly, but it is roughly 30 gallons. I am fairly certain of that estimate because I am filtering water from my distiller. The distiller takes a gallon of tap water in and produces less than a gallon out. I use the Brita as a final filter stage to improve flavor. I always filter cool water only. The distilled water goes into glass storage containers overnight. 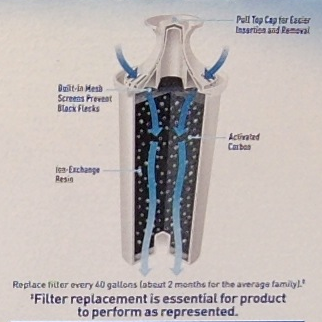 30 gallons is only 75% of the 40 gallons claimed for each filter. Also, the old style filters did not take longer to process a quart of water at the end of life. I think there is a design problem with these new filters. Can you tell me when it will be fixed? Thank you for contacting us at Brita. We appreciate you taking the time to write to us. How many filters came in the box? When were the filters purchased? When I supplied the information they requested I received another email stating that they would be sending a refund for the Brita Pitcher filter cartridge purchase. I accepted and cashed the check. What I found most interesting about this response was the comment that nothing changed in the cartridge itself except the design. Hmm, so nothing changed except possibly everything, since the word design covers material specifications, manufacturing processes and engineering requirements. I also think that comment is negated by statements on the filter carton itself. The new and improved filter claims to have no black flecks and clearly indicates a new mesh screen on top that prevents black flecks. Something still seemed amiss to me, so I continued my logging experiment. See my results below. One way to end frustration with slow Brita Pitcher filters is to switch from filtering to distilling. A good water distiller produces pure water with virtually no contaminants. Bacteria cannot survive the distillation process and an activated carbon filter removes most chemicals that evaporate with the water.